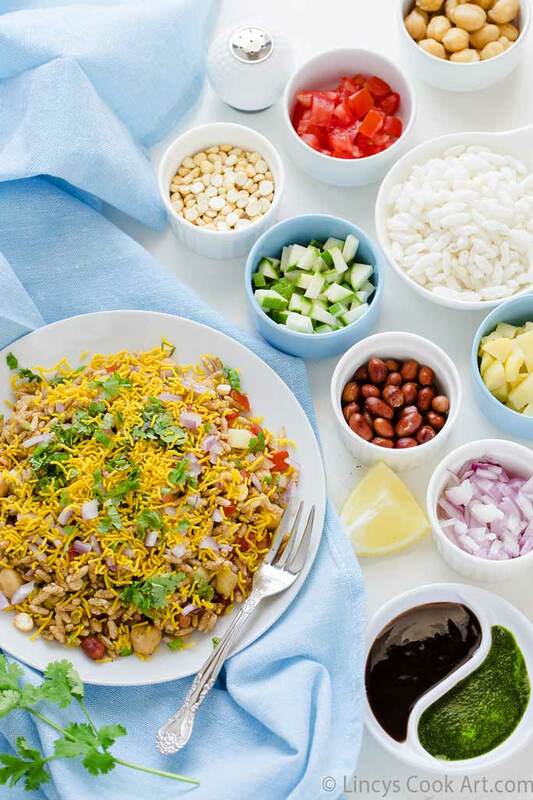 Bhel Puri| Churumuri | Churmuri| Jhal muri is a Popular Savoury Mumbai Street food. 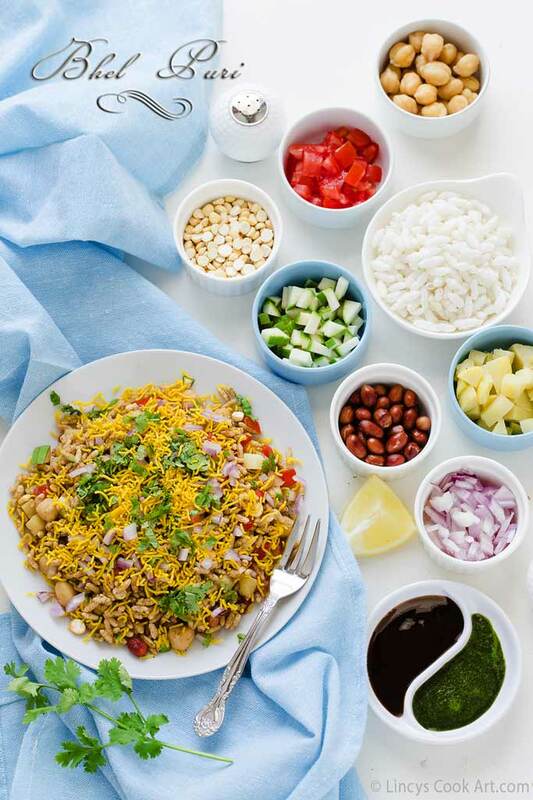 This bhel is prepared in two ways one is dry one with out chutneys and less veggies and with more of fried dals or fried snack as a base with puffed rice just drizzled with lemon juice which is called 'Sukha Bhel'. The other one is wet one with chutneys and with veggies the one i have explained here. I have tasted bhel puri first time when i was in Bangalore, one of my North Indian friend took me to the chat shop and i tasted my first chat dish over there. 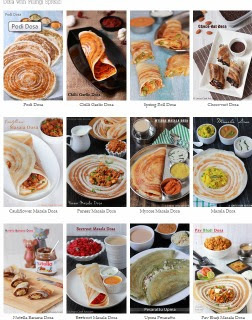 That time i have not liked much but after marriage i happen to taste the chat items quite often and over period of time i started liking almost all the chat items. 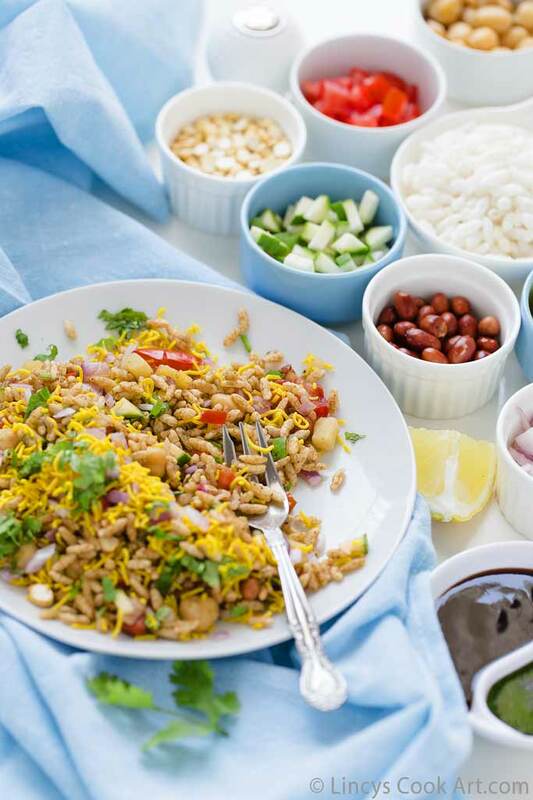 Bhel puri is a balance of sweet, salty, tart and spicy flavors with different texture combinations including crispy and crunchy from the puffed rice and fried sev. It is a filling snack item if you avoid fried items in this snack you could make it very healthy. But the crunch of the dish is the main highlight. So i used to add peanuts and sev for this recipe. Quite simple and refreshing snack for all age group. Pressure cook small sized potato with the presoaked chana together in a pressure cooker for 3 whistles with little salt. Drain the water and allow to cool; peel and cube the potatoes. Cut the tomato into two and using the index finger scoop out the watery pulp and chop them into small cubes. Chop the onion, green mango and coriander leaves; set aside. In a pan add the raw peanuts and drizzle half a teaspoon of oil with a pinch of salt; roast till crisp and golden. In a deep bowl add the chopped onion, tomato, raw mango, boiled potato cubes, boiled chana, roasted chana dal, roasted peanuts with a pinch of salt to taste. Now add the puffed rice and then add the sweet and spicy green chutney and lemon juice. Finally sprinkle the masala powders chilli powder, roasted jeera powder and chaat masala. Mix well with a spoon or ladle thoroughly. 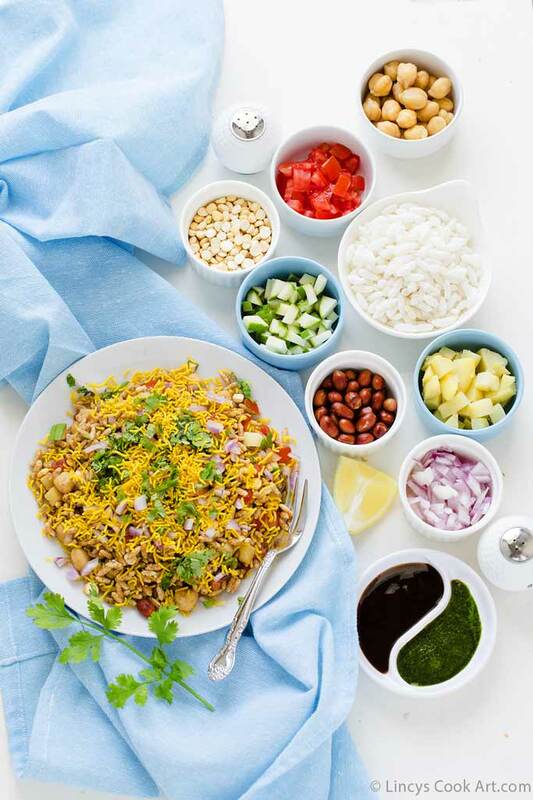 Plate the bhel puri and add the barik sev on top and with extra onion or coriander leaves. In a pan add the powdered jaggery, tamarind juice, chilli powder, jeera powder, salt and little water. Mix well and cook till raw taste leaves. I usually add one or two teaspoon of cornflour in water and dissolve and pour at the final stage to thicken the chutney. You could use roasted dals or roasted peanuts , papdi too for this recipe.